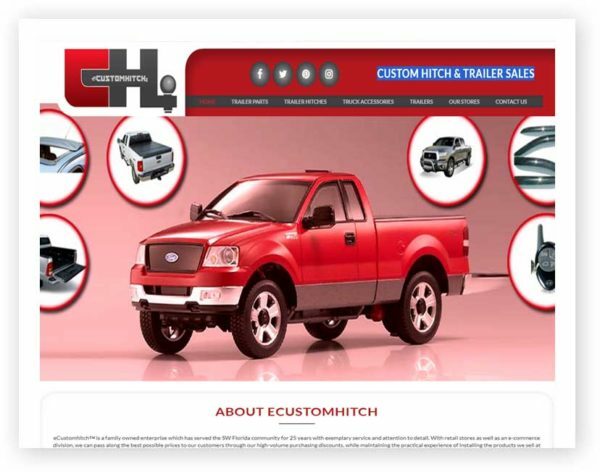 eCustomhitch™ is a family owned enterprise which has served the SW Florida community for 25 years with exemplary service and attention to detail. With retail stores as well as an e-commerce division, we can pass along the best possible prices to our customers through our high-volume purchasing discounts, while maintaining the practical experience of installing the products we sell at each of our locations. Combining a large trailer inventory and showrooms full of parts provides us the advantage of shipping products quickly and efficiently.